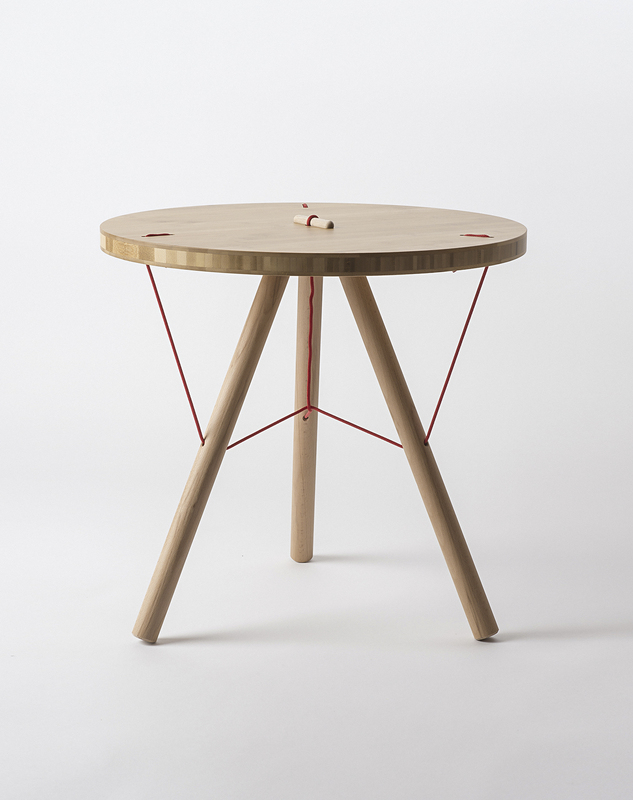 LASSY is a Coffee Table assembled without any screws or nails. 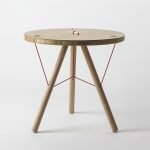 LASSY is composed simply of a wooden tabletop and three legs that are stabilized by a rope under tension. 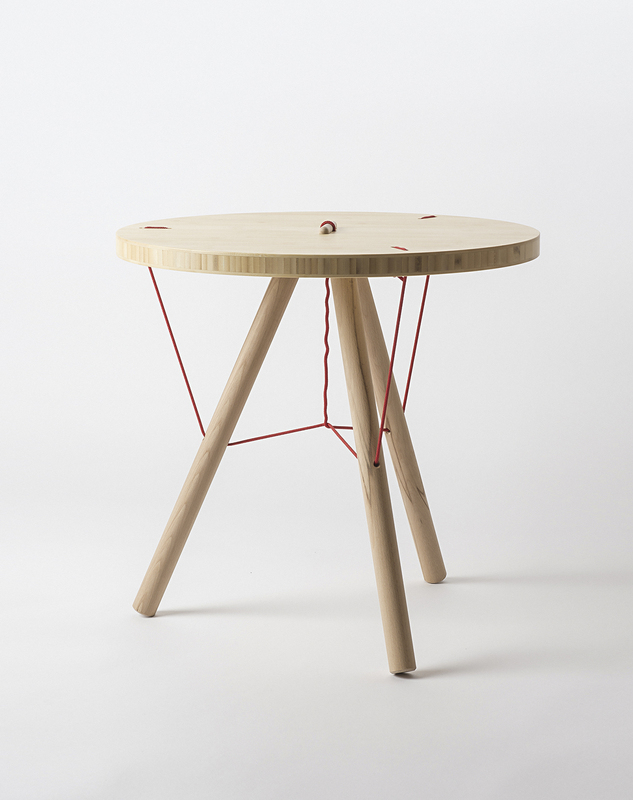 Produced in collaboration with local carpenters, it is a great mix of tradition and modern technology. 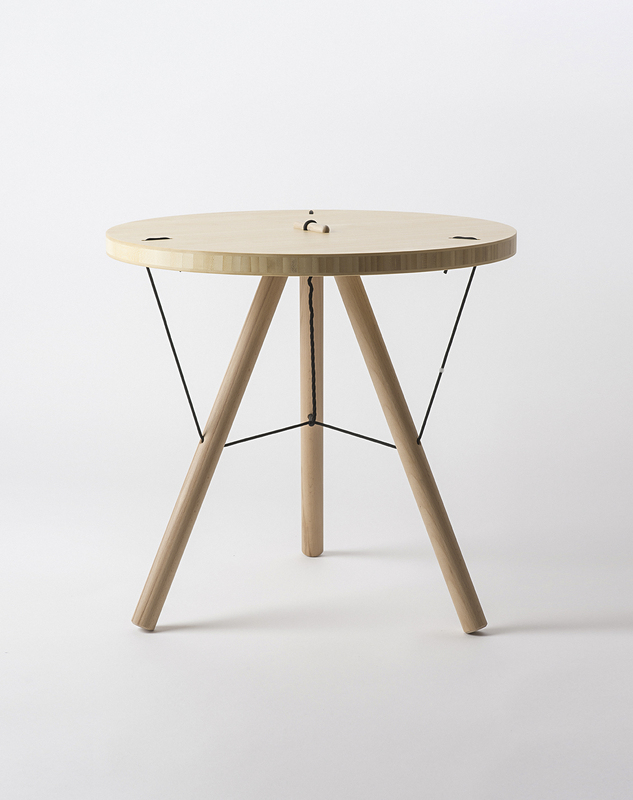 Indeed, thanks to the precision of CNC milling, the holes for the legs have the exact same angle, allowing LASSY to stand straight. 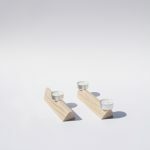 Its principle of assembly is inspired from old saws held together by tension. This inherent tension has been cleverly reinterpreted.